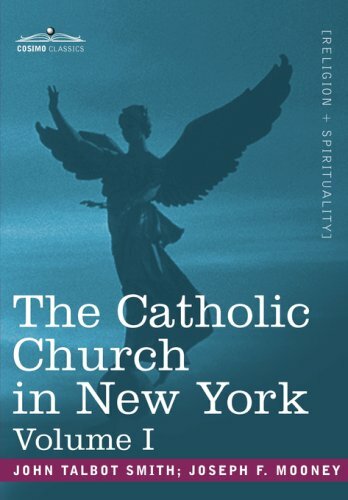 First published in 1905 and written as an official chronology of the Diocese of New York—then one of the powerhouse regions of the Catholic Church in America, as the Archdiocese of New York is today—this two-volume work remains an important document of the Church. Useful in both the historical and cultural dimensions, this highly readable but powerfully biased account reveals the prejudices and partialities of the time as filtered through the viewpoint of one of its most influential institutions. Volume I explores: • the first Catholics in the State of New York • the early years of the organization in the state • the first bishop and early administration • anti-Catholicism and the Knownothing Party • the growth of the parishes • politics and Catholicism • and much more. American clergyman and author REV. JOHN TALBOT SMITH (1855–1923) also wrote The Training of a Priest, The Chaplain Sermons, and other religious works, as well as the novels Woman of Culture (1882) and Solitary Island (1888).